Rhinoplasty (nasal surgery) is an operation to improve the shape and size of the nose so that it is in harmony with the rest of the face. 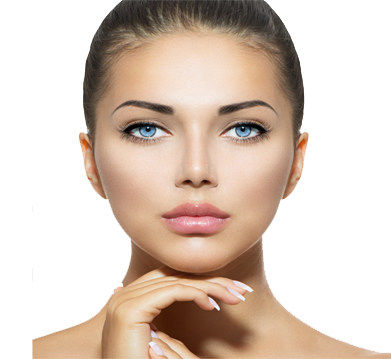 Rhinoplasty is essentially a surgical sculpting of the nose and is accomplished by careful contouring of the bone and cartilage giving the nose its shape. At the same time deformities that cause breathing problems and some sinus disorders can be corrected. In open rhinoplasty, a small cosmetic incion is used on the underside of the nose that allows for direct access to the entire cartilagenous and bony nasal vault. Rhinoplasty is performed under sedation with local anesthesia. The surgery takes approximately two to three hours. After the surgery, a nasal splint is used for several days to act as a protective casting. Rhinoplasty is often an enhancement to facial rejuvenation, particularly in the correction of the aging nose (drooping of the tip). A significant “combo” effect is seen with facial augmentation in conjunction with cosmetic nasal surgery. In most instances, change in appearance can be seen immediately. However, the end result can sometimes take 9-12 months to show its final appearance. Rhinoplasty can be functional and cosmetic and may include septoplasty and/or reduction turbinoplasty to improve airway in functional cases. It may also include manipulation of the nasal cartilage and nasal bonesOperation where art and science comes together most profoundly.